When it comes to Rugby events. Not everyone gets to attend a World Cup. 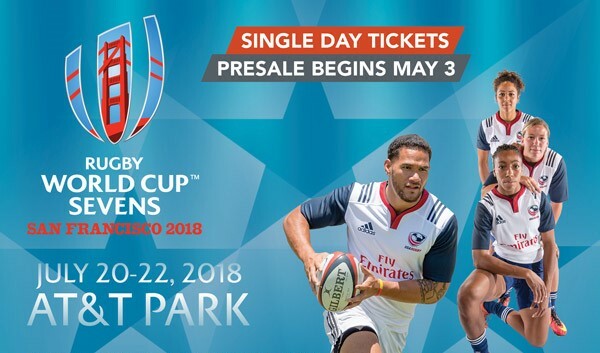 There is some background to this, following the Moscow RWC 7s World Rugby's focus for Sevens code almost fell solely upon the Olympics. World Rugby re-assessed after Sevens was accepted into the Summer Olympics Cycle. After the tournament was all but gone, the United States Rugby Football Union (USA Rugby) bid for and won the rights to host the tournament providing the American public a World Cup Event to attend. Single-Day Tickets Pre-Sale Begins May 3. Both the Men and Women Eagles 7s are seeded 5th in the tournament. Let's win a World Cup!